Southeast AeroCultural Fair is our annual event. Get More Info on our SEAF Page HERE. The annual PAASS Program will be held November 8, 2016 at the Sugar Co-Op Building in Belle Glade, FL. Please call the Florida Agriculture Aviation Association Headquarters at 772-465-0714 to reserve your spot. 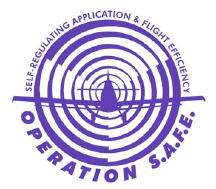 South Florida Operation SAFE will be held on November 1, 2016 at 9:00 a.m. at the Airglades Airport, 3200 Airglades Blvd., Clewiston, FL. Lunch will be served at 12 noon. Please RSVP to the Florida Agriculture Aviation Association Headquarters at 772-465-0714. Download the S.A.F.E. Flyer in PDF here.